Typhoon Jebi, packing winds of up to 216 kilometres (135 miles) per hour, made landfall around midday in western Japan near areas still recovering from deadly record rains earlier this summer. Prime Minister Shinzo Abe urged people to "evacuate early" and ordered his government to take all necessary measures to protect residents. 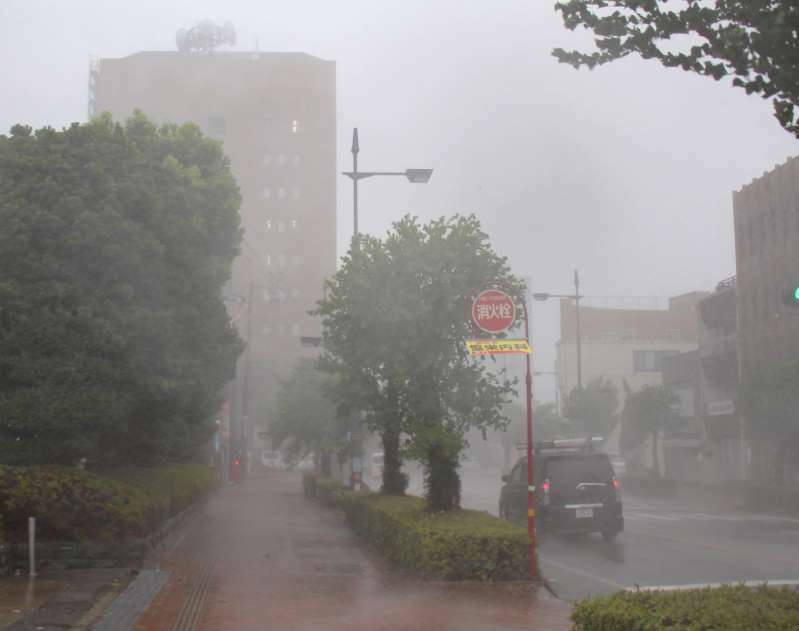 Japan's weather agency has issued warnings about possible landslides, flooding and violent winds, as well as high tides, lightning and tornadoes in a swath of western Japan including the major cities of Osaka and Kyoto. With winds of up to 162 kilometres (100 miles) per hour at its centre, Jebi is classed as a "very strong" typhoon, the weather agency's chief forecaster Ryuta Kurora told AFP. "This is (the strongest) since 1993." In the hours before the storm made landfall, Shikoku, one of four Japanese main islands, was already experiencing "violent storms and the storms will get stronger and stronger," he added. As the storm approached, Abe called a disaster response meeting and cancelled a trip to western Japan. He instructed his cabinet to "take all measures possible". Local media warned that the wind speeds Jebi is packing are strong enough to bring down traditional-style wooden houses and power poles, and urged people in affected areas to avoid non-essential travel. Evacuation advisories have been issued for more than 300,000 people in western Japan -- including 280,000 in the port city of Kobe -- with local officials setting up some 1,500 shelters, the central and local governments said in statements. Primary and middle schools in affected areas are closed for safety reasons, while regional businesses also reacted quickly, with a major railway firm and Universal Studios Japan in Osaka shutting down for Tuesday. Nearly 600 flights were cancelled, including several international flights departing and arriving at Nagoya and Osaka, along with ferries connecting ports in western Japan. Jebi has a similar trajectory to Typhoon Cimaron, which made landfall on August 23, disrupting transport links but causing limited damage and few injuries. Japan is currently in its annual typhoon season, and is regularly struck by major storm systems during the summer and autumn. The country has been sweating through a record, deadly heatwave that was preceded by record rainfall in parts of western and central Japan that killed over 200 people.